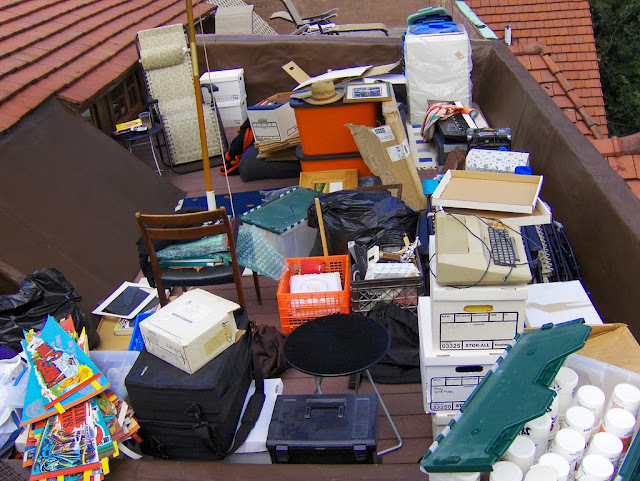 No matter is it due to poor habits, lack of space or any other reason which comes to mind, everyone at some point struggled with the burden of clutter. Just think about all those precious moments wasted on finding your wallet, your favorite shirt or the bill you’ve just left on the desk. The sad truth is that clutter imposes its own rules on your lifestyle, making everyday activities into chore, piling up every time you lower your guard just for a day. Fighting it might seem as impossible task, but sometimes you just have to say: “Enough!” Shackles will be struck and you will be slave to clutter no more! When you take a better look at your home, honestly, there are a lot of things that serve to no real purpose. People tend to be very sentimental and keep the things that have even the slightest emotional value or which might prove useful for some reason in some indefinite time. If you take a moment to think about it, they are just sitting there, without being useful in any way, collecting dust and causing allergies. Chose the things you haven’t used for more than a year and say adieu to them. If you want to keep this interesting, turn it into game. Everyday chose one thing you don’t need and get rid of it. That would be 365 objects less in your home per year. 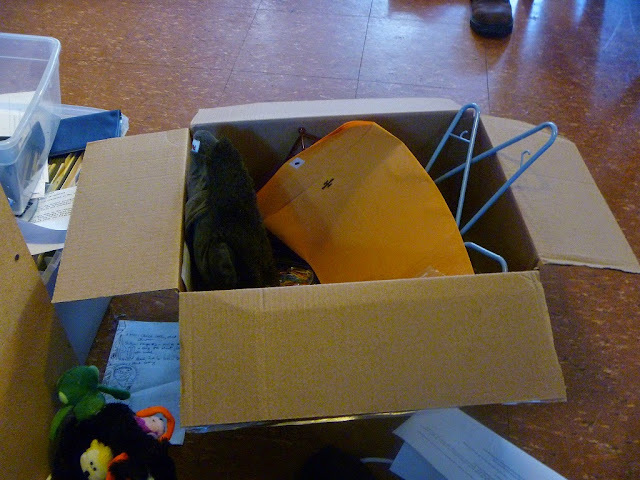 One way to lose all the unnecessary stuff is to gather all the things that are still usable and organize a garage sale. It will move out a lot of clutter and instead supply you with the healthy amount of money. Of course, no matter how resourceful you are, at some point you will just run out of space. Good news is that your off-season clothes, fishing kits and everyone’s favorite trampoline don’t have to be stuffed somewhere in your beloved home. 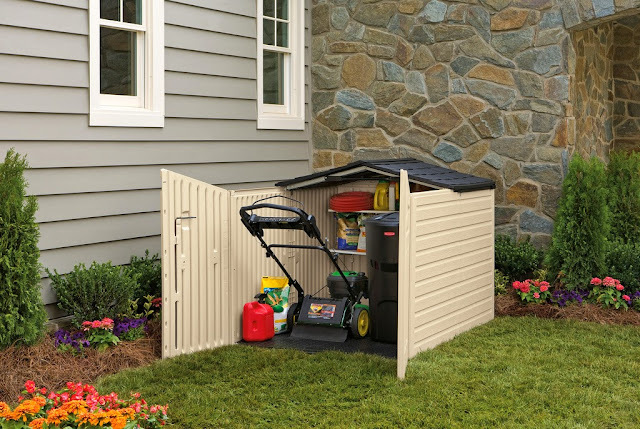 There are some very affordable solutions for creating an outdoor storage and they can vary from covering things up with the tarps, making a storage case out of wooden pallets, foldable shacks, gear cabins or even building a real-deal shed, all depending of your time and resources. If you have a lot of stuff you want to store away and have a space it, tough, you should really consider getting one of those handy and spacious container shelters, since the green architecture is really gaining a lot of attention lately and they are very budget-friendly. Battle to make your home clutter-free doesn’t always have to be tiresome routine. It is also a chance to prove your generosity and help someone less fortunate. It is ok to earn some money by selling unnecessary things, but , once the sale is over there is no real need to throw into garbage or to let to rot any unsold thing that don’t have place in your life. They might prove useful to those in need. You will give a great example to your friends and neighbors and do your own little part in raising the overall social conscience. If you think about it, it is a no-lose situation. You will liberate your house from clutter, keep it in an optimal state, streamline your life, bring little of much needed joy into another’s home and give a new purpose to your long forgotten and once beloved things, becoming a better person in the process. However you approach it if you know thy enemy, you can’t go wrong. Devoting a little of your time to maintaining your home clutter-free is rewarding endeavor. Other than helping you to lessen the stress and achieve more organized and productive life, banning the clutter will give you an answer to one of the most important questions in your life: Where did you left those keys last night?